A wonderful Midnight Blue pashmina woven from fine merino wool with some polyester added for strength. The perfect summer colour which will add a touch of glamour to any outfit. Stay warm and cosy with this lovely pashmina. Don’t want to wear a jacket? Worried about feeling chilly? And you want to look great too! 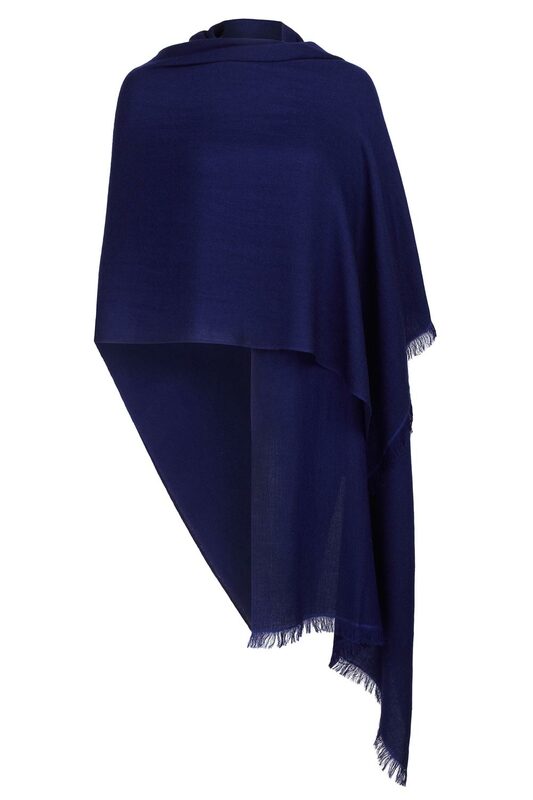 Light and fine yet warm this Midnight Blue pashmina shawl wrap scarf is the answer. Offering great value-for-money the wool offers softness and the polyester adds strength. Ideal as a wedding pashmina shawl wrap scarf and for other formal occasions, this Midnight Blue pashmina shawl wrap scarf can be worn as a wrap in the spring through autumn and as a scarf during the winter. The ideal accessory. Our popular Midnight Blue pashmina shawl wrap scarf in a fine wool mix. Stay Warm, Look Cool.